Welcome to the largest temporary tattoo shop online offering more than 7,500 designs in a wide array of categories. 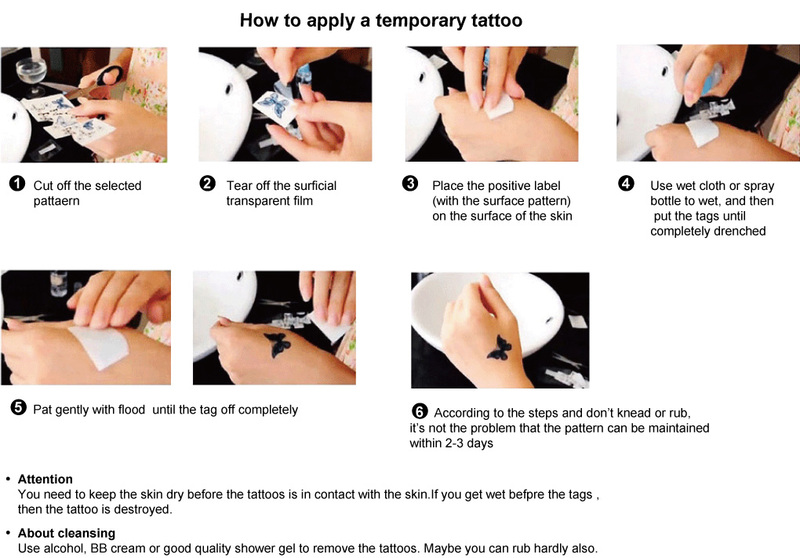 temporary tattoos are non-toxic, non-allergic and 100% safe for kids. We provide you with unlimited choices, ranging from celebrity tattoos, Baseball,College,Football,Basketball,Hockey,animals and dragons, Superhero, Disney and Cartoon tattoos. There are also custom temporary tattoos to satisfy your exact style needs. We focus on total customer satisfaction always and in case our products don't live up to your expectations, you can unconditionally return them to us within 1 month. We deliver throughout the world with low shipping charges.We offer all kinds of secure payment methods like PayPal, Visa etc. Browse through our best-selling temporary tattoos and other categories and place order for shipping within 24 hours. ©2009-2015 temporarytattoos.top. All Rights Reserved.